This is the perfect spot for millenials who would like to squander their pennies (or crowns) on avo toast rather than saving for a deposit on a house. The Coffee Room is a charming and popular little cafe in one of the most vegan-friendly areas of Prague. They serve breakfast until 12pm, and there are plenty of vegan (and veganisable) options. You can have a smoothie bowl or granola, or a choice of three avocado dishes. One of them, a bowl of avo, sweet potato, quinoa and chickpeas, had sold out when we turned up at 11:55am, so we went for the other two options. 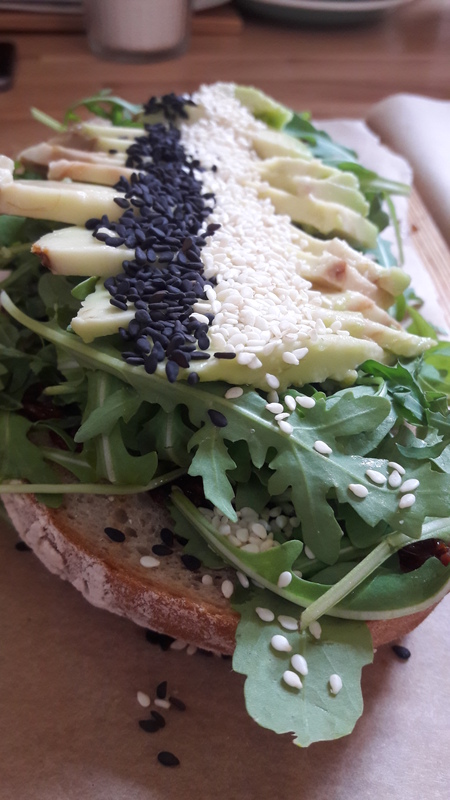 I had the sliced avocado on sourdough toast with rocket, sundried tomatoes and sesame seeds. It’s listed with cream cheese, but can be served vegan – I assumed I’d get a vegan cheese on there, but rather disappointingly they just skipped the cheese completely, but kept it at full price. That’s a bit cheeky, in my opinion (especially when they charge extra for soy and almond milk in hot drinks as well). 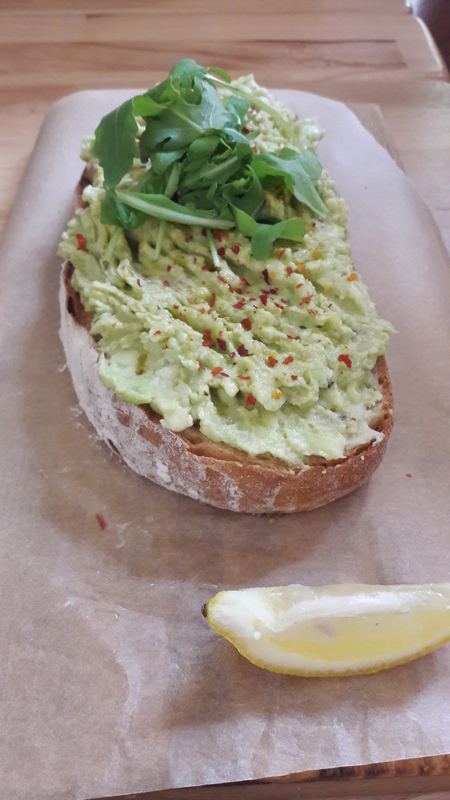 Still, the toast was fantastic, and there isn’t enough avocado in my life, so it was still a good dish. I just felt a little cheated. 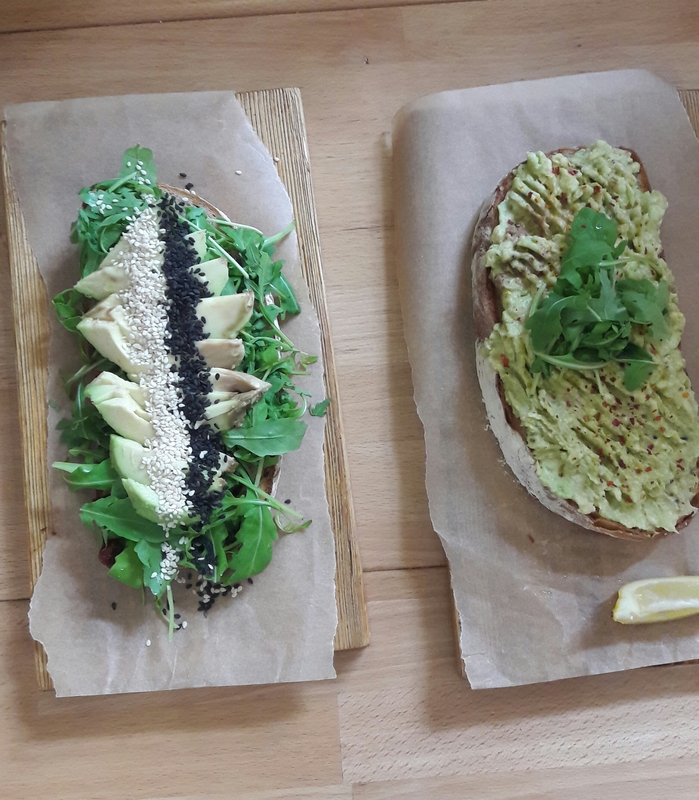 Dr HH had the straight-up vegan option, smashed avo on toast. It was flavoured with lemon and chilli, and came on the same delicious bread. Lovely! I would say this was the better option, not least because it didn’t involve the vegan surcharge. 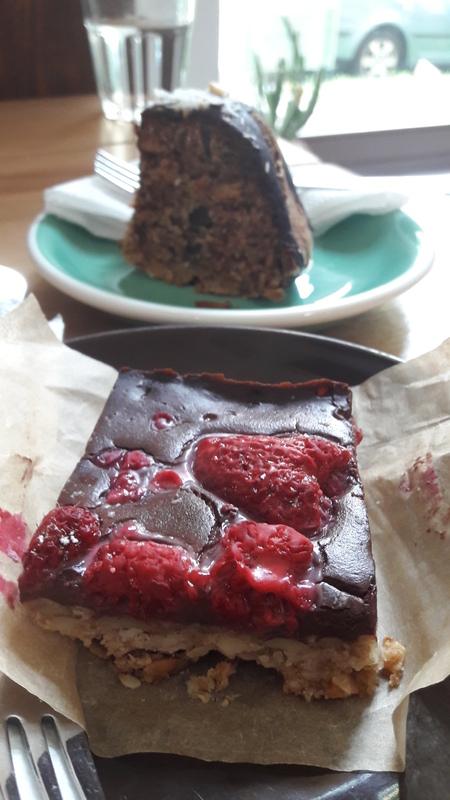 There were two vegan baked goods, so we were compelled to test them out for research purposes. The front one is an oat bar, which had a lovely crunchy base and a delicious chocolate cream on top. The other is chocolate bundt cake, which featured peanuts and coconut and was really nice too. Both winners! This place was a little overpriced for Prague, but it’s also the only place we eat at that really features avocado, so that may be why. We won’t be there every weekend, but it’s a nice one to pop back to and would probably be a crowdpleaser amongst non-vegans too. Everyone loves avocado, after all! 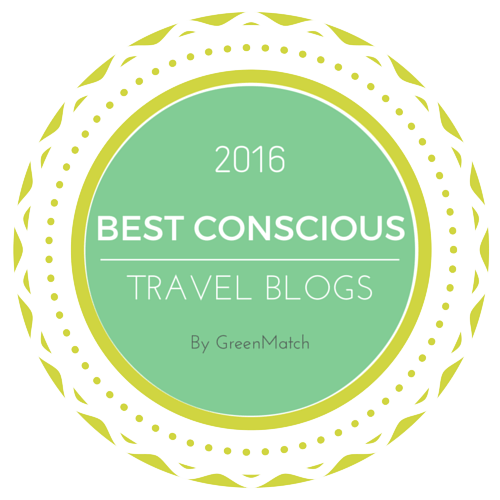 This entry was posted in Travel and tagged Coffee Room Prague vegan, vegan breakfast Prague, vegan Prague, vegan travel. Bookmark the permalink. I suspect there are many of us! Always excited to hear about vegan places worldwide…too bad it was so pricey, tho! YIKES! The food looks good, tho! YUM! Yum! I always feel cheated too when the vegan option is minus the dairy with no alternative, but the same price!! Paying the vegan tax, obviously!